A very good friend of mine is building his retirement home at the moment. I have to admit that Frank has certain advantages as a trained carpenter who has worked in construction all his life. He also has experience, having built his first house forty years ago. Frank sold that house when his father died and moved into his dad’s bungalow. Directly behind his father’s home there was an orchard. Frank cleared the orchard and some old outbuildings, and got planning permission to build a large garage with an adjoining workshop. This was designed and constructed so that it would comply with the rules for a residential building, with the aim of one day converting the garage/workshop. That work is currently underway. A new smaller garage has been completed and the former garage/workshop extended and altered internally. 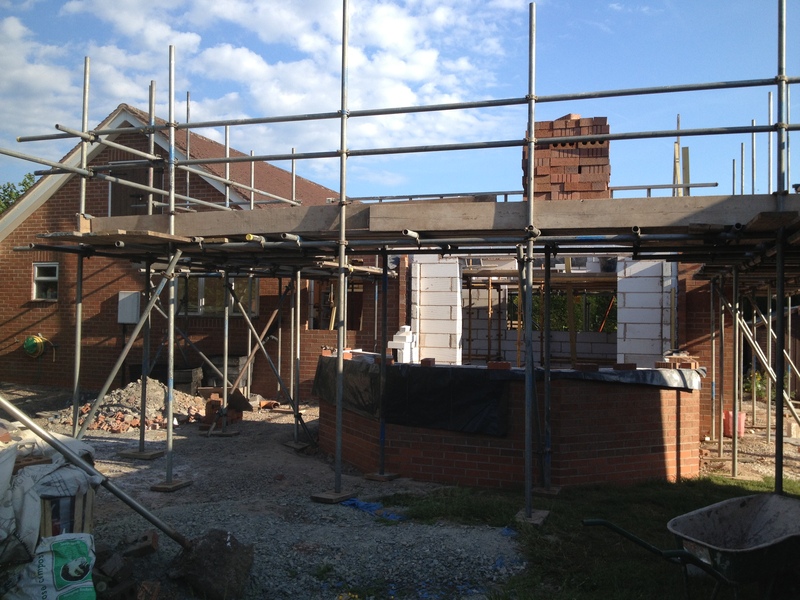 The roof is now complete, windows were being fitted last week, and under-floor heating has been installed. A great deal of planning has gone into Frank’s new home over a number of years. There has been wise financial planning, and much forethought on many levels, including the need to comply with past and present building regulations. Without this level of planning Frank would not have been able to build his new house. Thinking about this proverb and the way that Frank has planned reminds me of another carpenter, and the amount of prior planning and preparation that preceded His arrival in the world 2,000 years ago. God didn’t just have a bright idea one day in Heaven. He planned for His Son to visit our planet in human form before He created the Universe. Furthermore, God’s attention to even the smallest detail meant that He planned the writing of this Proverbial Thought and He knew who would read it. I find that absolutely mind blowing. Having planned and prepared God then built His house. Jesus told us that it has many rooms; and that there is a room in His Father’s house for each of us. It gets better. Jesus paid the rent up front, in full. This entry was posted on Tuesday, December 27th, 2016 at 2:42 pm	and tagged with Construction, planning, preparation and posted in advice, Promises, Work. You can follow any responses to this entry through the RSS 2.0 feed.